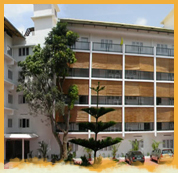 Hotel S.N International is located in the heart of Thekkady, Kumily, on the K.K Road and within minutes from the business area and the bus station. Having 92 oversized guest rooms which includes Deluxe and Regular. All bedrooms have en-suite bathrooms, some rooms have lush green mountain and others have city view, custom designed wood furnishings, satellite TV, and are equipped with personal safe boxes, direct dialing telephones. All guests have 24 hour access to the Business Centre and Laundry Services. Our rooms feature comfort & Style and are a world apart from other hotel. The entire mattress is heat treated to eliminate stress and is made up of a high density form and pad. So you can be sure of having the most enjoyable holiday trip in Periyar Wildlife Sanctuary, Thekkady. The hotel offers 92 Luxurious elegantly furnished guest rooms which includes Deluxe, and Regular Rooms. All bedrooms have en-suite bathrooms, lush green mountain or city view, custom designed wood furnishings, air-conditioning, satellite TV, and are equipped with personal safe boxes, direct dialing telephones. All guests have 24 hour access to the Business Centre which includes internet browsing centre and std/isd call office. Our rooms feature comfort & Style and are a world apart from other hotel. The entire mattress is heat treated to eliminate stress and is made up of a high density form and pad. So you can be sure of having the most enjoyable holiday trip in Thekkady. Relax & Unwind, Be sure to start the day with "S.N International Mornings", our breakfast buffet, served in our "Sunitha Restaurant". For lunch and dinner, Our Restaurant offers a variety of International, Indian, Chinese and Continental dishes. The hotel offers banqueting and conference rooms/halls, fully equipped with state-of-the-art audio-visual support and can accommodate up to 1000 guests. Upon request a choice of presentation and ideas are available. The business center also provides full range of secretarial services including access to Internet, fax and photocopying facility.